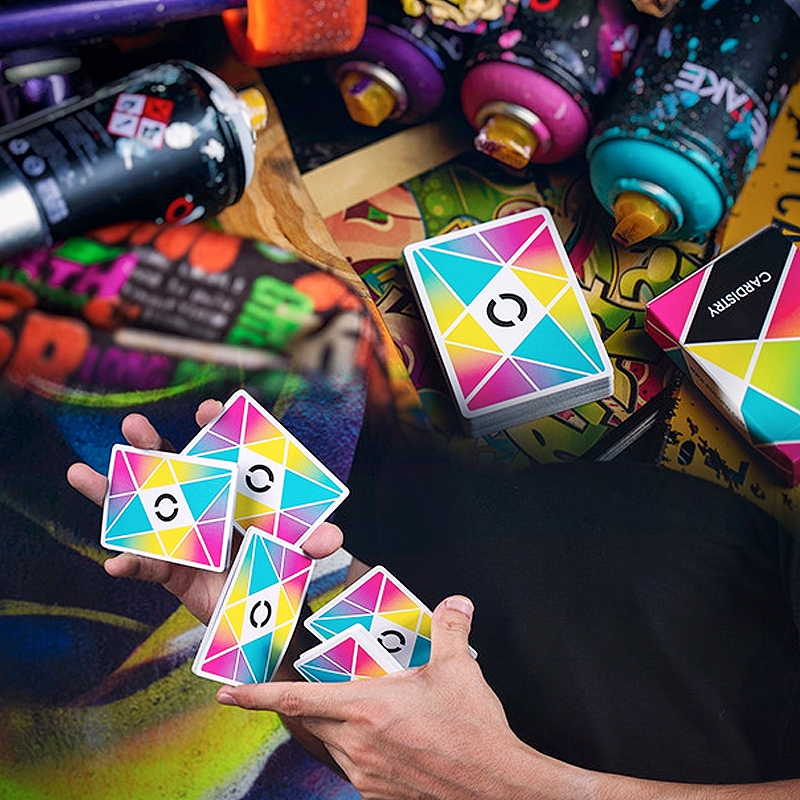 This deck, with its geometric modern style is already a classic deck for cardistry. The springy stock makes performing and flourishing with these cards a real pleasure! The United States Playing Card Company was chosen as the materials and inks they use ensure that the cards have a great snap and feel to them. The back of the cards provide an awesome visual effect when performing fans, spins, spreads.... If you are a fan of Cardistry you cannot miss this fantastic deck! Features: - Unique design and perfect details treatment. - Geometric element coupled with vivid colors. - Custom faces coupled classic style. - Printed by The United States Playing Card Company. - Bee Stock and AIR-Cushion Finish. • The cards are poker size. Αυτό το προϊόν προστέθηκε στον κατάλογό μας την Thursday 18 January, 2018.